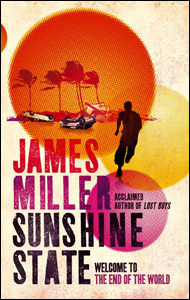 This novel by our Facebook friend James Miller seems to be following a familiar apocalypse model – with much from Heart of Darkness via Coppola – BUT, despite a front cover tagline “Welcome to the end of the world”, this following Evan Calder Williams’ thesis in his ‘Combined and Uneven Apocalypse’ (more on that soon) is not post-apocalyptic but rather the present continued as apocalypse. So far, so impressive – but there are some bonuses. For within the familiar Mad Max, Book of Eli territory Miller’s hero unexpectedly encounters a wholesome, diverse respectability (and its compromises), a hybrid (part beach party, part Pentecostal rapture) world of ritual and a hint that all the shocks and storms may never have been as bad as they said on TV, that the catastrophe is constructed, that there is undifferentiated information that a catastrophe is incapable of revealing. This isn’t Joseph Conrad, but, as Evan Calder Williams has often pointed out, we can find revelation in the popular.